At Tesla's event, CEO Elon Musk has finally taken the wraps off of its Superchargers which it has already set up at six locations in California, pictured in the map after the break. The company plans installations on "high traffic corridors across the US" over the next year, with units heading to Europe and Asia in the second half of 2013. 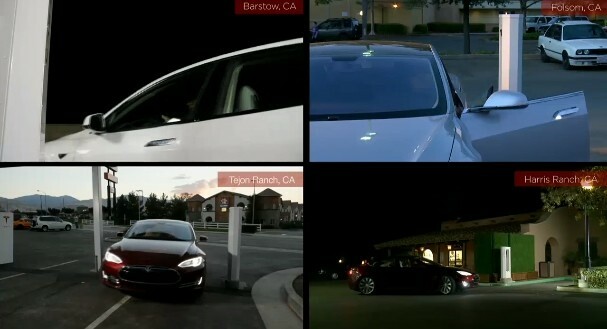 According to Musk, the solar powered systems will put more power back into the grid than the cars use while driving. Oh, and for you Model S owners? You will always be able to charge at any of the stations for free. According to Musk, the economies of scale developed while building the Model S have helped it get costs down on the chargers, although he did not offer specifics. Update: The video replay of the event itself is live, and embedded after the break.